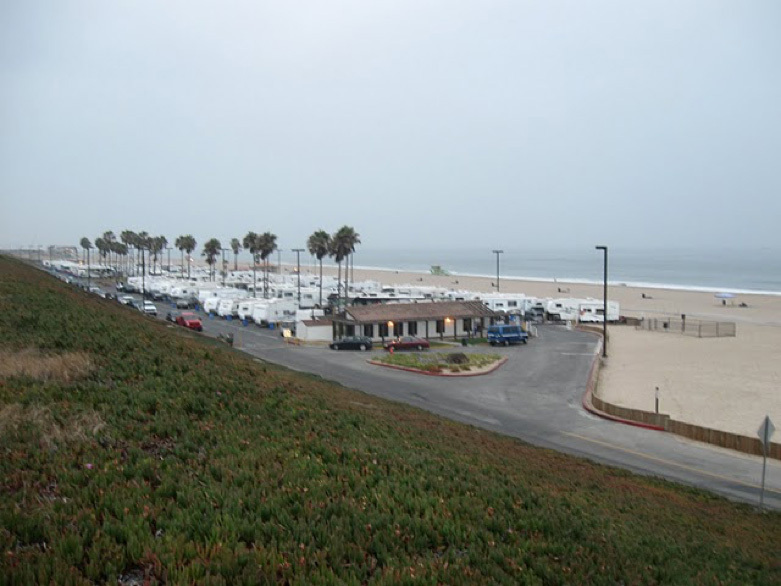 L.A. County’s only recreational vehicle campground ON THE BEACH! RV’ers enjoy sunshine, ocean breezes, and a scenic panorama from Malibu to Catalina Island. There’s plenty to do and lots to enjoy at Dockweiler RV Park. For starters, this popular, year-round beach campsite offers complete hook-ups, a handy pump-out station, hot showers, and a laundromat. Each campsite has its own picnic table and barbecue, so you can enjoy your stay.And, of course, there’s the ocean only a few steps from your RV door. You can play volleyball at nearby courts, take a walk on the sand, or even have a romantic fire on the beach. It’s all here. This is a great beach for swimming. If you’ve never tried surf fishing, this is your chance. $55-65 per day, plus additional fees. Click here for the full list of rates. The first night’s fee is due upon reservation, and then the full remaining balance is due at check-in upon arrival. Recreational Vehicle size limit is 40 feet. Maximum 8 persons per site. No tent camping is allowed. Reservations must be made at least 1 night in advance, and no sooner than 90 days before the arrival date. Click on the RULES tab for additional information. 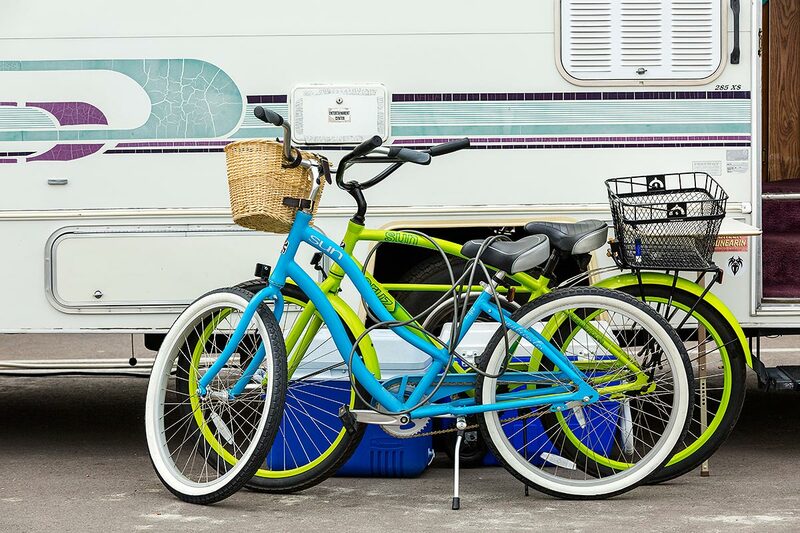 The 22-mile Marvin Braude Bicycle Trail is only a few pedals away from the camp, connecting the RV Park with nearby attractions such as Redondo Beach Pier, Venice, Santa Monica beaches and Marina del Rey. The RV Park is freeway-close to some of Southern California’s many attractions, such as Disneyland, Universal Studios, the Getty Museum, to name just a few. View the brochure for more information about the RV Park on the beach! Dockweiler RV Park is freeway-close. Take any north-south freeway in L.A. County to the 105 Freeway, and head west. The 105 exits onto Imperial Highway, and the RV Park is at the end of Imperial – on the beach in Playa del Rey (the beach of the Kings). This RV Park is very popular so we can’t guarantee a space without a reservation. Phone Reservations: Call (800) 950-7275 or (310) 322-4951, Monday – Friday, 9:00 am – 5:00 pm (Pacific Standard Time). Online Reservations: Available 24 hours a day, 7 days a week. 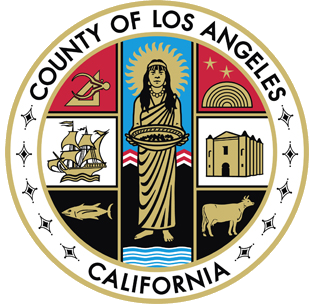 Click here for the Online LA County Reservation System. Reservations cannot be made for the entire month of January, because the RV Park is closed for repairs and renovations. Fees must be paid in advance upon reservation. A copy of the RV Park Rules and Regulations will be given to you when you register. Reservations must be made at least 1 night in advance and up to 90 days from the arrival date. Check in time is 1:00pm. Check out time is Noon. Permits are required for each space, including registration of additional vehicles. Cancellation Fee – 1st days fee if not cancelled at least 7 days before arrival date. No visitor or guest vehicle parking at any time. Holiday Fee applies to the holiday, 3 days prior to the holiday and 3 days after the holiday. A minimum of a 3-day reservation is required during the 7-day holiday period. This includes Memorial Day, Fourth of July, and Labor Day. The only changes permitted to reservations that include these holidays are adding days and changing sites if the changes are made at least 7 days prior to the arrival date. No refunds will be issued for reservations that include these holidays, even if cancelled 7 days in advance. Also, no refunds will be issued for checking out early once you have registered at the RV Park. Please only reserve the dates that you need, and register only for the dates you can actually stay to avoid paying any unnecessary fees. We are pleased to announce the County’s plans to expand beach camping at Dockweiler State Beach RV Park. The expansion would add 23 new spaces for campervans, which are smaller than a typical RV and a more affordable camping option. Each space would have a picnic table and an outdoor grill. The project also includes expanded restroom facilities and outdoor wash stations. If you have any feedback, please provide it in the space below. Yes, please send me email updates about this project. If you would like to receive updates about this project, please enter your email address. 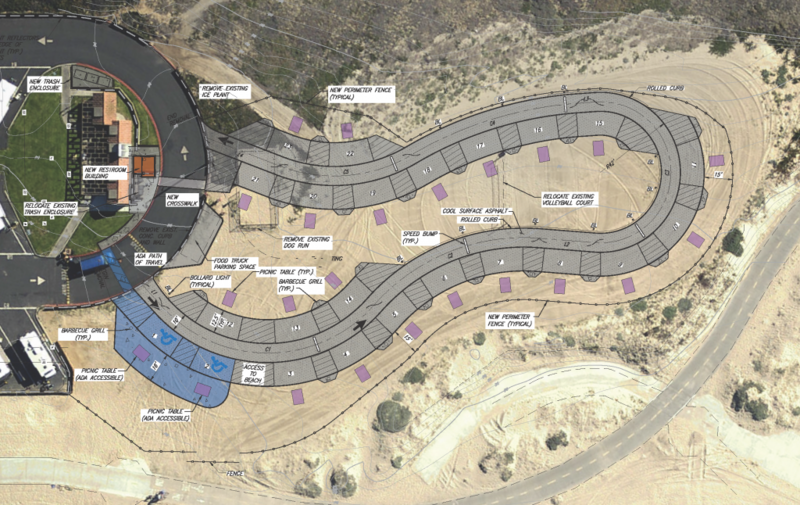 The proposed RV Park expansion includes 23 spaces for campervans, expanded restroom facilities and outdoor wash stations. Click the image to enlarge.